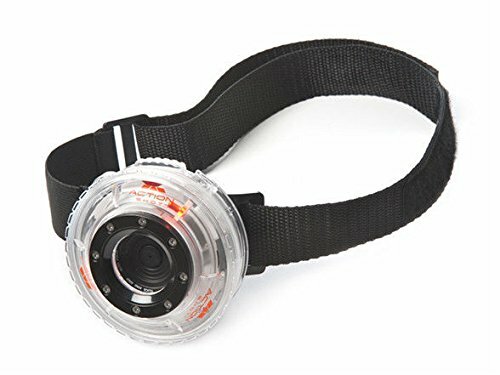 Attach the Action Shot Camera to your helmet, bike, or skateboard and capture all your greatest achievements and spills. Featuring a simple Click & Grip mounting system, this disc-shaped camera secures easily–no need to worry about a complicated setup. Upload your footage and photos to any Mac or PC with the included USB connector, and you and your friends can view the raw footage or edit all your feats into a polished video with the included video-editing software. 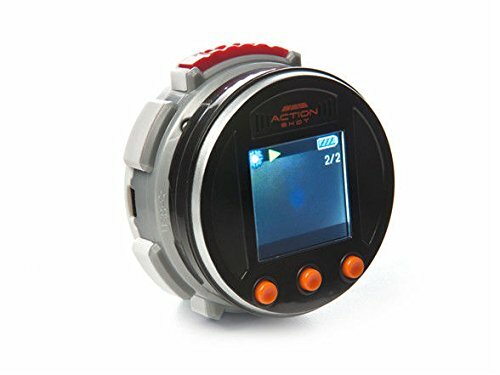 The camera is designed for kids ages 8 to 15. 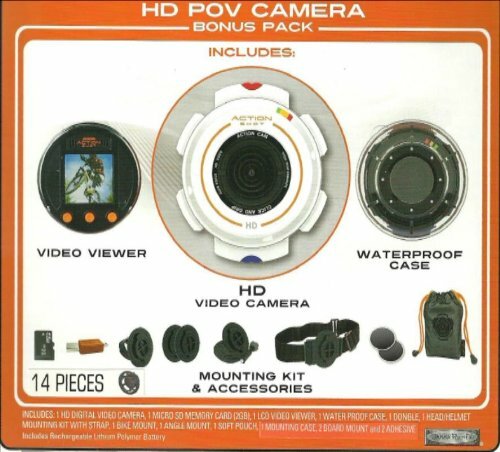 The Action Shot Camera records video at a standard definition rate (640×480, 30 frames per second) or QVGA resolution (320×240, 60 frames per second). You can also capture still photos with a 640×380 resolution. The device also features an autofocus to make sure the important stuff gets captured. Additionally, the easy-to-use interface means you can start and stop recording with a press of a button. An included head mount, adhesive mounts, and a Click & Grip protective mounting case make it easy to secure the Action Shot to your helmet, bike, board, or other gear. And, since the camera is simple to attach, you won’t have to worry about spending a ton of time changing it out between runs. 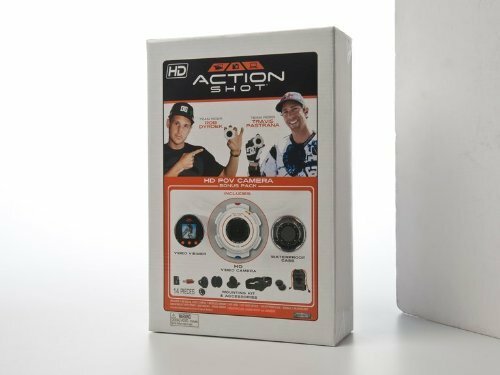 The Action Shot Camera comes with 128 MB of onboard memory, so you can begin recording footage right away. This will give you approximately 2,000 photos and up to 2-1/2 minutes of video. It also has a slot for a microSD Card to expand memory capacity and store more video at one time. amazon error id: RequestThrottled: AWS Access Key ID: AKIAJ52GSIL65PW5FY2A. You are submitting requests too quickly. Please retry your requests at a slower rate.